Interested in experiencing the thrill of virtually climbing a redwood from the forest floor to the treetop canopy alongside scientists that study these complex giants? California Academy of Sciences has just the thing for you! The California Academy of Sciences has opened a new exhibit, Giants of Lands and Sea. Life at the edge of land and sea is a dynamic, ever-changing place—where fog rolls in, tectonic plates shift, and rocky coastlines trace the majestic outline of our state’s rich natural history. 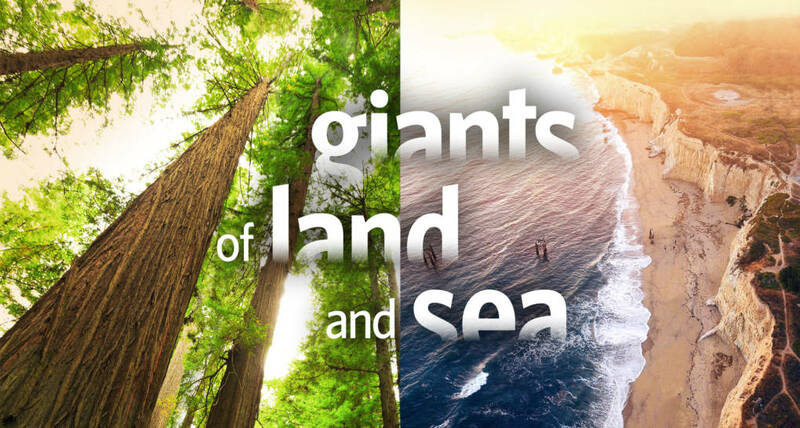 In this major new exhibit at the California Academy of Sciences, discover the giant forces that make Northern California like nowhere else in the world. Step inside an immersive fog room, feel a jolt within an earthquake simulator, and see marine mammal skeletons and models. Ascend through an ancient coast redwood interactive and count their rings to understand how these giants grow. Plus, hear from Californians working to sustain the precious and critical ecosystems in their own backyard. The exhibition celebrates California’s rich cultural diversity and is interpreted in several different languages, including English, Spanish, Chinese, and Filipino. We’ve got four pairs of tickets to give away for The California Academy of Science’s new exhibition Giants of Land and Sea. From all entries, we’ll randomly select four winners for a pair of tickets (worth $79.90 per pair.) Deadline to enter is Monday, July 9 at 11:59 pm. Winners will be notified by e-mail on Monday morning, and tickets will be held at Will Call. You must be a California resident and 18 years or older to participate. Employees of KQED are not eligible to enter.